As Baby J grows older, I try to include him in more projects around our home. I even bought a small watering can just for him to help me water our little balcony garden. In reality, it’s more like he’s bashing the tops of the plants with the watering can! It’s cute though, and I want him to grow up being helpful, so it’s all okay! 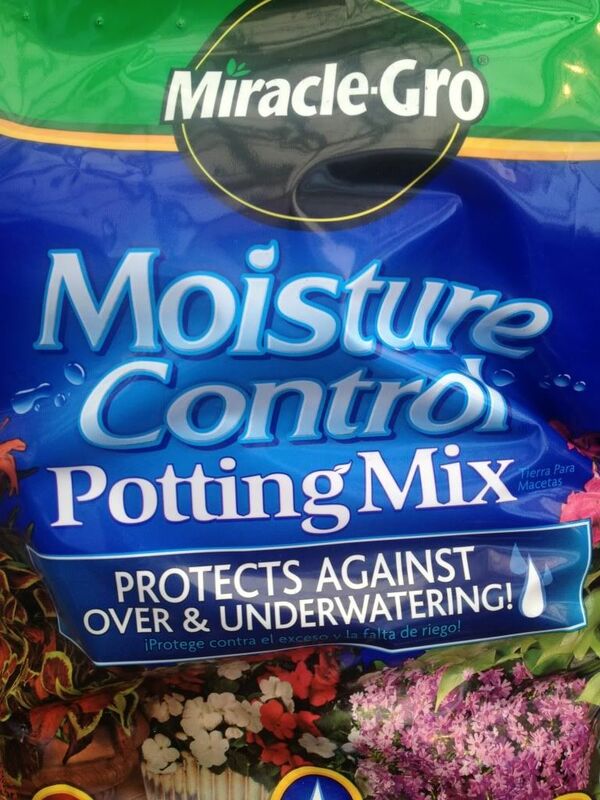 Miracle-Gro has several fun garden projects (<<check this out!) on their Pinterest and Facebook pages, and as soon as I saw the “Toyarium” project, I knew I had to try it with Baby J! 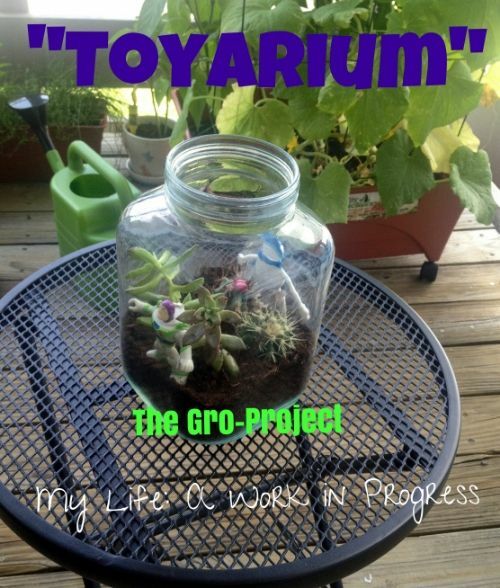 As you can see, the “Toyarium” is a terrarium with toys in it. Step 1: Add rocks to bottom of container (they help with drainage). Step 2: Use your spoon to scoop moisture-control potting mix into the container. 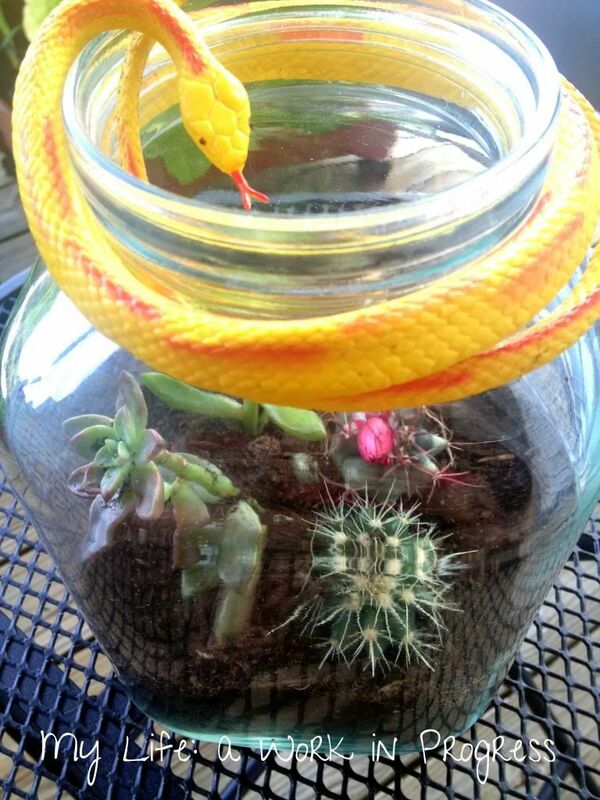 Step 3: Place your succulents into the container (if they have barbs, be careful!). Step 4: Add your toys. Then scoop potting mix around the plants and toys as necessary. And that’s it! This project is easy and fast to do. To save money, use a glass jar, vase, or other container you have around the home. Just make sure it’s cleaned thoroughly first, and that the mouth is wide enough that you can easily place the plants and toys inside. For the drainage layer, you can buy rocks polished specifically for this purpose. Or try small pieces of gravel or broken pottery. To help your plants grow, try the LiquaFeed All Purpose Plant Food Advance Starter Kit by Miracle-Gro. Regarding the toys, I started off with a rubber snake we had in the toy bin. I thought it looked cool! 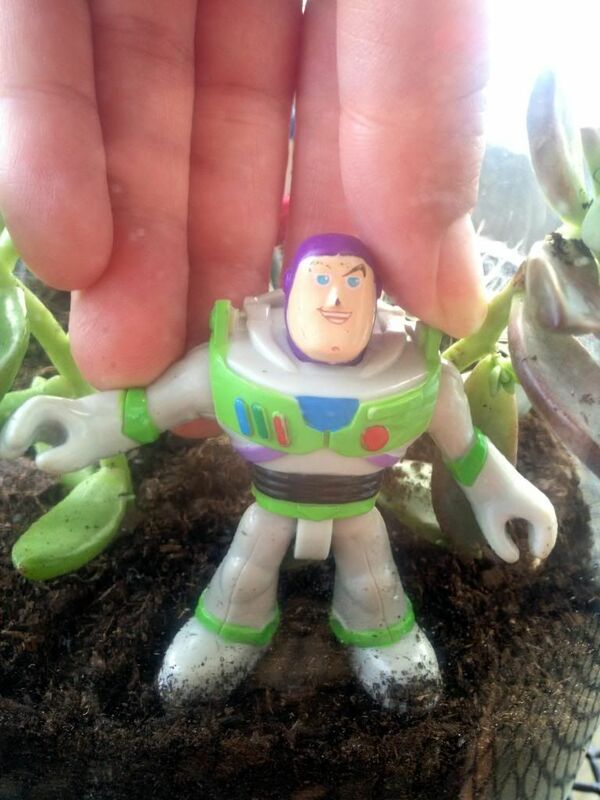 But most people would find it creepy (see below), so I took it off and went with Buzz. When I get the chance, I’ll check the dollar store for toy dinosaurs. I think they’d look perfect peeking through the foliage! If you want to get your green thumb on, check out The Gro Project and join the movement! How awesome! 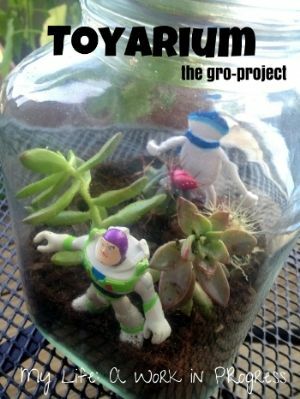 I’d never considered a terrarium + toys! How cute! I bet it would be a real conversation piece once people notice toys in it, hehe. That’s such a cute idea. It’s also a good way to get my kids to pick up their toys….if they could build a toyarium out of it. Fun! That’s really a neat project for kids, they can plant and decorate from their own creativeness. This is awesome, how fun!! I’m headed over to visit the sponsor! I love this! How perfect for a child’s room! Miracle Gro is the perfect name for that line, too! Thanks to their products, I can get almost anything to grow! Such a cute idea. 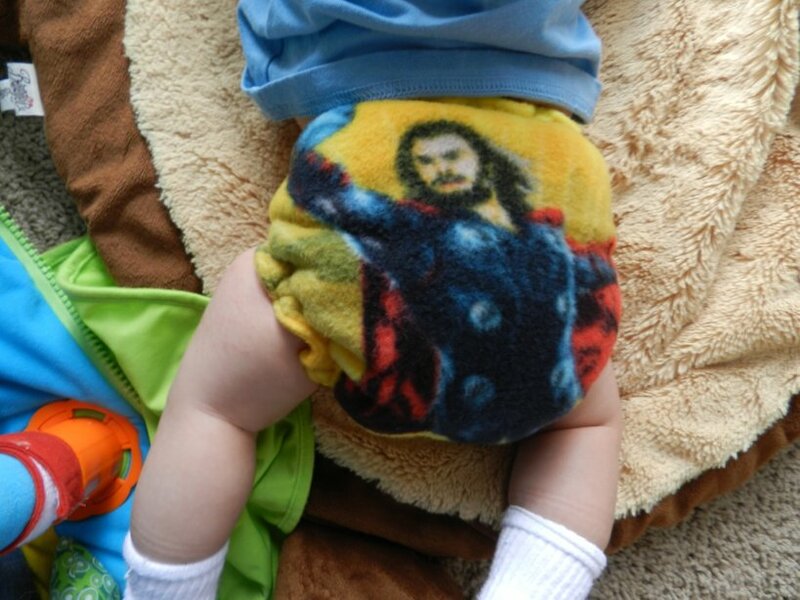 Would love to make that for my nephew. This is seriously awesome. I think this may be a project in the spring to do with all the munchkins. I bet they would all (no matter what age) seriously love it. We still have ours out on the balcony, and every time Jeremiah’s out there, he wants to play with it! He also keeps sticking things inside it, hahah, so I guess he understood the general concept. The only thing I worry is if the kids want their toy back and accidentally touch the cactus. Cute idea!